Alfred Barr, 'Cubism and Abstract Art', 1936, bookcover detail. 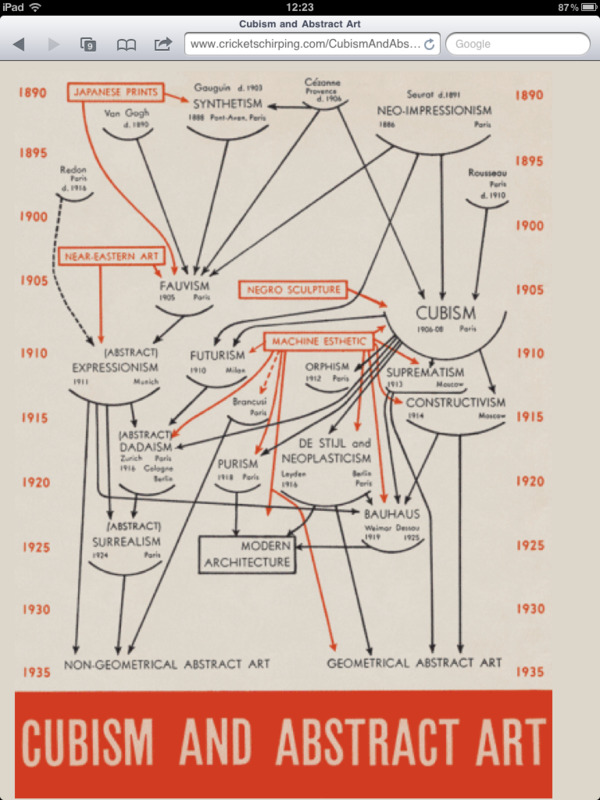 Sitting in a lecture on contemporary art, the tutor referred often to this diagramme, “Cubism and Abstract Art” created in 1936 by Alfred Barr, an American art historian, and the first director of MoMA in New York City. Created by Alfred Barr, 1936. Image courtesy http://www.cricketschirping.com.